Really this guide supports for to be part of improving online fashion market ! Everyone knows that tailoring is an art. While entering into traditional tailoring business, achieving customer satisfaction is still very difficult task. Because of manual work burdens so much heavier rather than other business tasks. Nowadays digital technologies acting as smart player in every business especially in tailoring business. Through technological support, setup an online tailoring store is easy that sells unique design & to do tailoring business in easy & convienent way. Designing online store that give customers to shop from the comfort of their homes on a website that sells all of their favourite clothing patterns, designs. I would like to share tips to create the site which really admires the users. How to design online tailoring store? Simplified design boosts your site breathe, easy to understand, people to spend more time. Psychologists say that the first impressions are formed within 7 seconds. Designer journey should start with every single step of website to impress the users within 7 seconds. Get your online shop off to a flying start that's rolling in style that will draw in the crowds to browse your products. Optimized for mobiles and tablets, you can offer an amazing purchase flow across the full range of devices, with impressive image layouts and smooth product previews. Design that should be easiest to search of products without worrying about inventory showcasing, categorization. Prefer HTML5, CSS3 and JS for website design. Designing fully responsive and highly user-friendly website is not enough to start business in online. Website particularly need to develop do realtime tailoring business functionalities that will give fresh experience of shopping online. Website design supports to showcase where all your dominant features can be easily exhibited. Images subjecting your tailoring store that can be highlighted through the respective section. The homepage of website has product category area where all your fashion items which can be classified. How to develop an tailoring store ? Developing online tailoring store & its work flow depends on business requirements. Its bit difficult to explain here. But following steps will make your development decision strong enough. 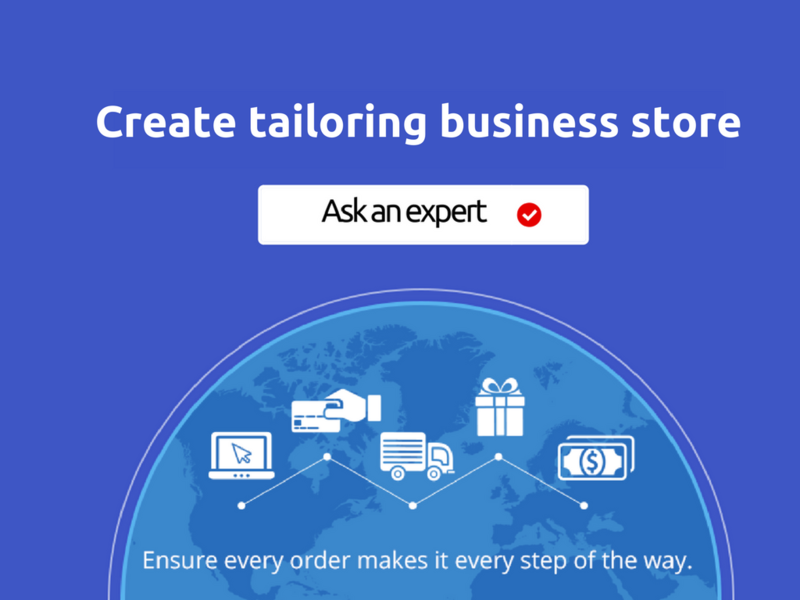 Step : 1 : Do a plan about how your online tailoring store works for your customerbase. Step 7 : Install different remarketing services into online tailoring store. if you are willing to analyze what technologies supports for your tailoring business requirements, book for free consultation.